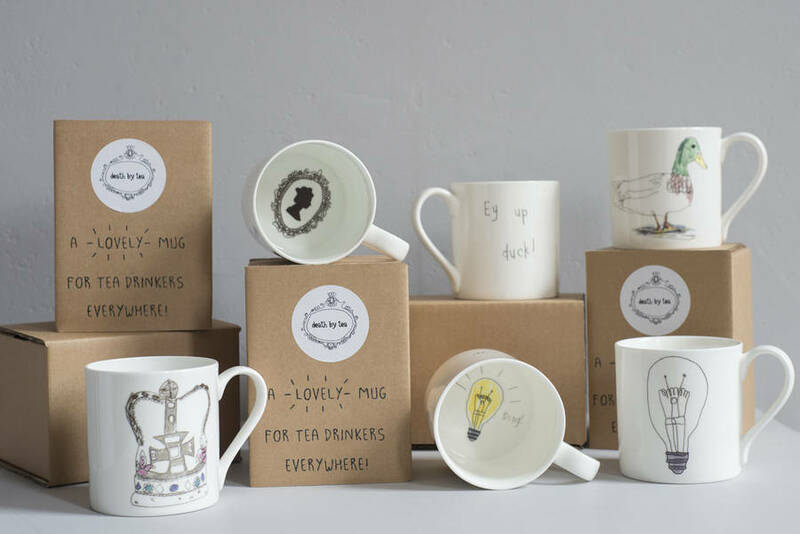 A beautifully illustrated fine bone china mug, the perfect gift for teachers, students, work friends or just those who believe in the power for tea! 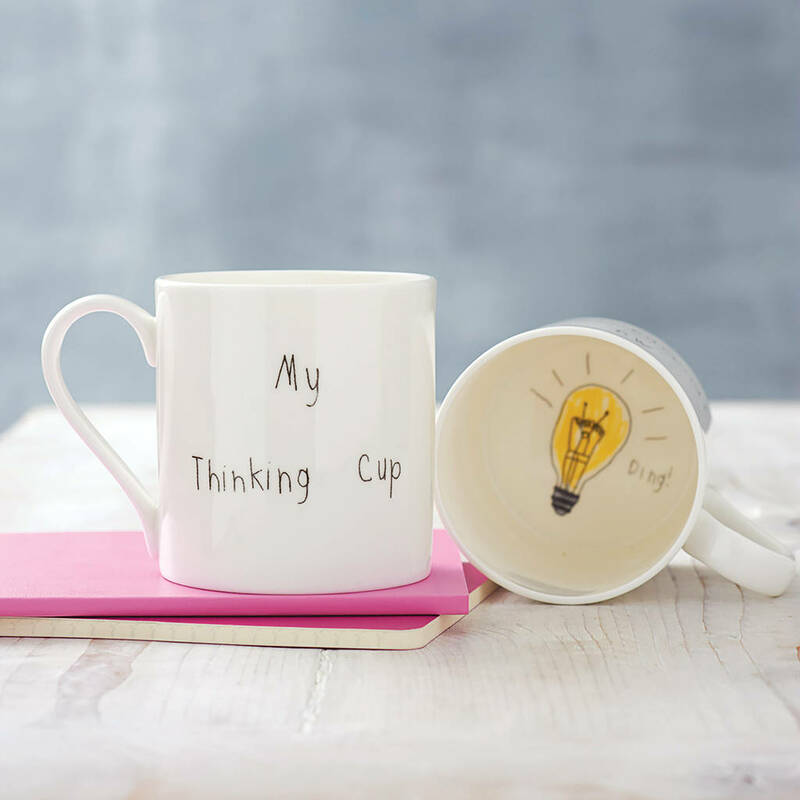 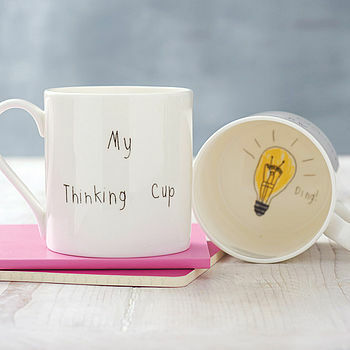 We all need a bit of help sometimes, and whether it's tea, coffee, or something a little stronger, this funny mug is on hand to get the juices flowing once again! 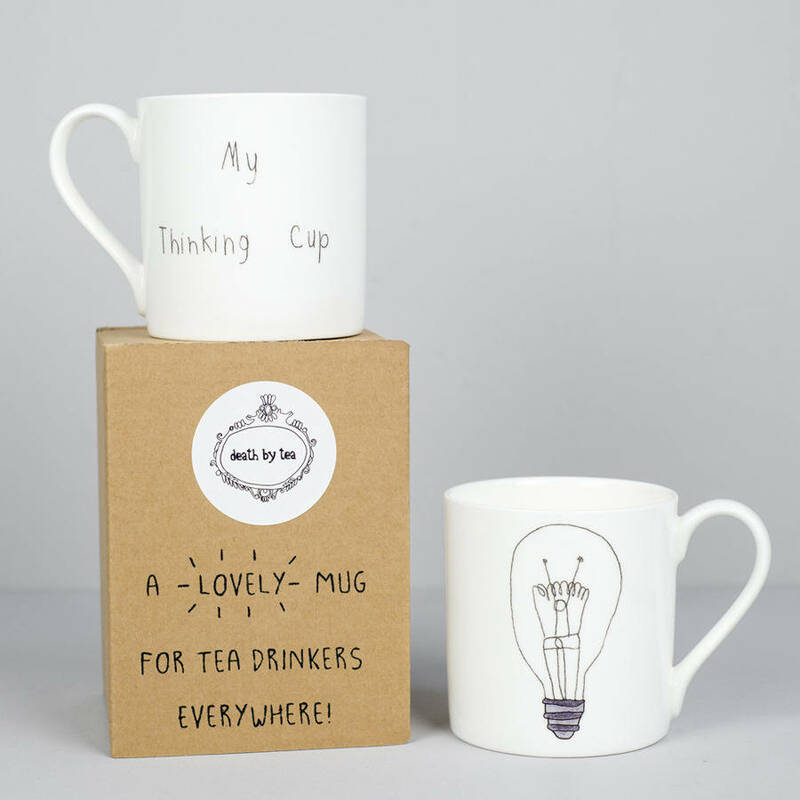 Each mug has been professionally manufactured and is hand decorated with my original designs in the U.K.
All mugs are wrapped in protective bubblewrap and are packaged in a double walled, hand stamped gift box. 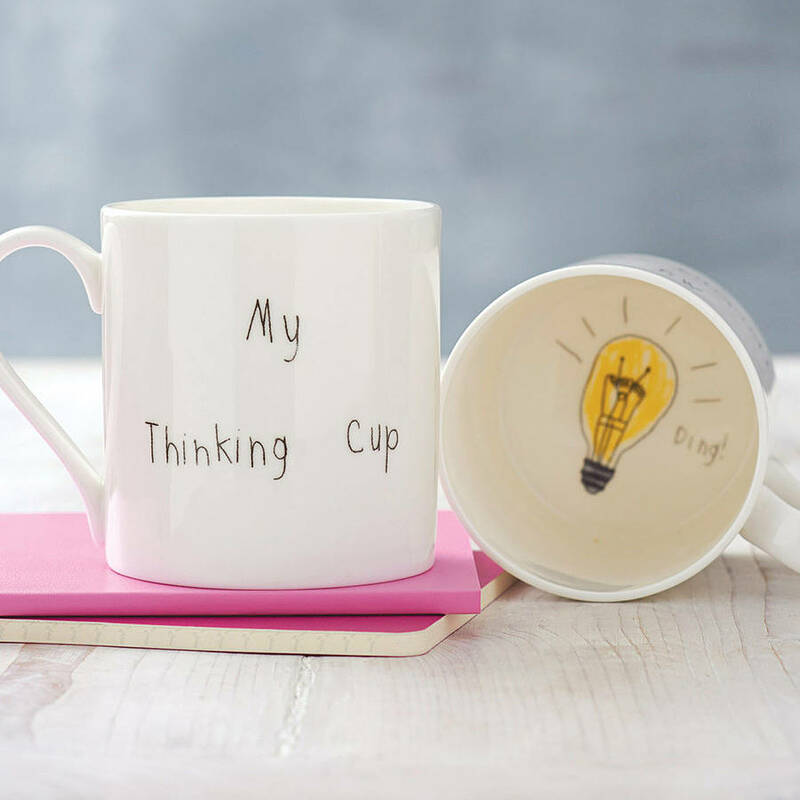 I believe you need the right tools to create the perfect cup of tea, and that's why all of my mugs are made from high quality, lightweight bone china, any serious tea drinker will know that it's the only way to serve a brew! 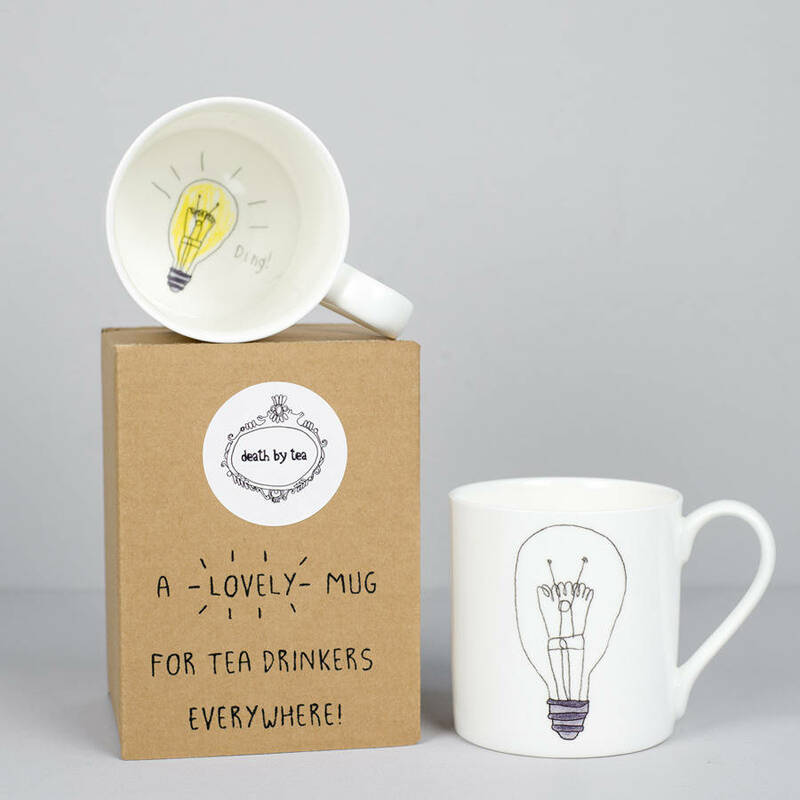 This product is dispatched to you by Death by Tea.